The 3,000th box to be adopted in the UK - in Loweswater, Cumbria – has just been fitted with defibrillator equipment, which can help save the lives of heart attack victims. The equipment has been paid for by BT and installed by the Community Heartbeat Trust, a charity that makes possible the provision of defibrillators for local communities. 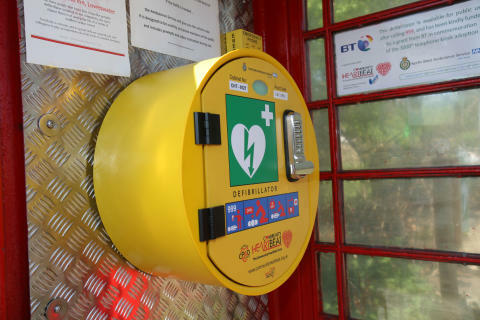 Available to the public 24 hours a day, seven days a week, the defibrillator is secured in the phone box in a high visibility yellow, vandal-resistant, heated steel cabinet. It can be opened with a combination code available from the emergency services by calling 999. The defibrillator machine provides spoken step-by-step instructions, analysing the victim to determine if they are suffering from a cardiac arrest and delivering a powerful, but controlled electric shock to restore normal heartbeat if required. The phone box was bought by Community Heartbeat Trust for £1 as part of BT’s Adopt a Kiosk scheme because it was no longer needed as a working payphone. As well as being repainted to bring the vibrant red icon back to life, a local resident has designed and installed a new floor in the box. Roger Hiley drew his inspiration from the surrounding landscape. He said: “The mural stone draws on the green of the Lakeland fells, the creamy whites of the Swaledale ewes and the ruddled red of the classic Herdwicks at show time.” “The floor design also ties in with the Red Cross emblem to link to the neutrality and service commitment of those who give their time and efforts in the cause of the common good,” explained Roger. Martin Fagan, national secretary for the Community Heartbeat Trust charity, which undertook the project, said: “The use of redundant phone boxes is both a life saver for the community and these iconic structures. Up to 100,000 people a year in the UK suffer from an ‘out of hospital’ sudden cardiac arrest making it one of the UK’s largest killers. The faster a victim gets medical help, the better the chances of survival. The availability of a defibrillator machine greatly increases the chances of surviving an attack. With CPR (cardiopulmonary resuscitation) alone, the survival rate is around five per cent, but defibrillation and CPR increases the chance to more than 50 per cent. BT’s Adopt a Kiosk scheme has captured the imagination of people up and down the country since it was introduced in 2008. Apart from the defibrillator kiosks, boxes have been turned into art galleries, a pub, a colour therapy room, mini libraries, exhibitions and information centres. Even the villagers of Ambridge in BBC Radio 4’s long-running drama The Archers have adopted their kiosk. Mark Johnson, programme manager at BT Payphones, said: “We couldn’t let this 3,000th adoption pass without recognising such an achievement and it’s so gratifying to see this village phone box being given a new lease of life and being put to such good use once again. “The most fantastic thing about the Adopt a Kiosk scheme has been how communities across the country have become involved. Red phone boxes have become a focal point for all sorts of activities of real value to the local community. There are currently 600 phone boxes in Cumbria. Of these, 76 are red boxes of which 21 are listed buildings. There are 133 adopted boxes in Cumbria, 84 of which have been adopted so far by Community Heartbeat Trust and are scheduled to contain defibrillators. Architect Sir Giles Gilbert Scott designed the first incarnation of the world famous red phone box for a competition in 1924. This design, the K2, was introduced in 1926, predominately in London. In 1936, Scott refined his design for the famous K6 introduced nationwide to celebrate George V's Silver Jubilee. Sir Giles Gilbert Scott also designed Liverpool’s Anglican Cathedral, and Battersea and Bankside (now Tate Modern) Power Stations in London. The K2 phone box is 9'3" tall (2.7 metres) and weighs in at one and a quarter tons (1,270 kilograms). New they cost £35.14s.0d each. The K6 phone box is 8’3” (2.4 metres) and weighs in at three quarters of a ton (762 kilograms). At their peak in 2002, there were 92,000 payphones across the UK, now there are 46,000 public payphones (including 8,500 red boxes) on the street and 8,000 payphones on private sites like railway stations, airports and shopping centres. Around 49,000 calls are made each day from public payphones with a third making less than one call a month.More than half of payphones lost money and call volumes are declining more than 20 per cent year on year. Successful new ideas, which have helped phone boxes pay their way, include advertising on 20,000 modern kiosks and combining Wi-Fi and cash machine services with both modern and traditional red phone boxes. For examples of adopted kiosks see: http://www.youtube.com/watch?v=pmOs8M3Im3k and http://www.youtube.com/watch?v=jUKwN-mnN1s. 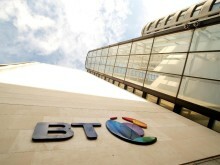 BT has a duty, known as the Universal Service Obligation (USO), to provide a reasonable number of working phone boxes where they are most needed. For more information visit: www.ofcom.org.uk/consult/condocs/uso/uso_statement. CHT is a registered charity that supports the cost effective installation of life saving defibrillation equipment into local communities. CHT is working with key stakeholders and ambulance services across the UK to establish community defibrillators. It works with members of the public, local councils and relevant charities to provide equipment that is robust, vandal-resistant, safe and manufactured to the appropriate standards. It can also arrange training to a national standard through recognised training organisations. CHT relies on public donations for funding.